Welcome to the Cobblestone Hotel & Suites in Beulah, North Dakota. Our beautiful hotel is conveniently located near everything that Beulah, North Dakota has to offer including Beulah Airport, Lake Sakakawea, Beulah Airport, and more. 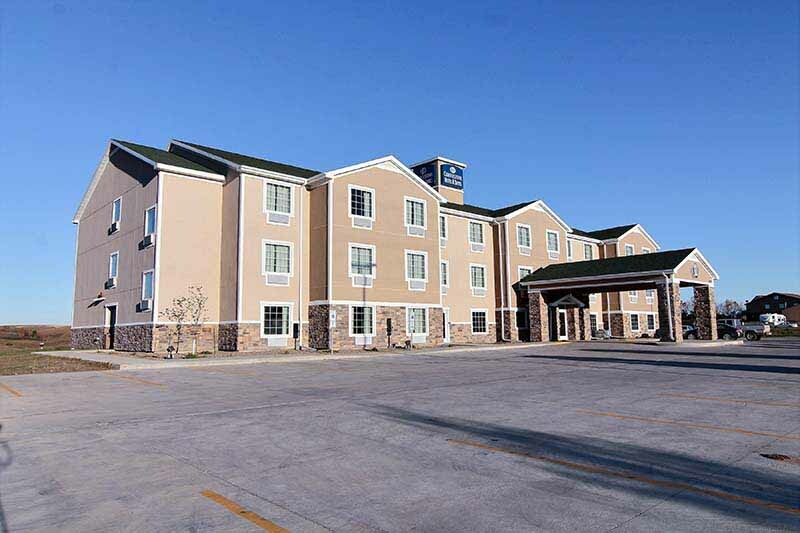 Our hotel provides easy access for traveling to and from North Dakota Highway 49 and North Dakota Highway 200. Located north of Interstate 94, our hotel is within 75 miles of Bismarck, North Dakota. In town for business? The Cobblestone Hotel & Suites of Beulah, North Dakota offers easy access to Antelope Valley Station, Basin Electric Power Coop, the Dakota Gasification Company, the Dakota Westmoreland Corp, the Great Plains Synfuels Plant, Great River Energy, the Coteau Freedom Mine, the Dakota Westmoreland Corporation’s Beulah Mine, the Otter Tail Power Company’s Coyote Station, and much more! In town for some fun? Check out the Black Sands Golf Course, Lake Sakakawea, and more.